And, apparently, it will not slow down. From this event - the Corona Open J-Bay - the main competitions of WSL become available strictly on the social network Facebook. Well, yesterday, on the first day of the event, the surf fans went into shock, the list of complaints spread worldwide, and surfers were very angry with WSL. 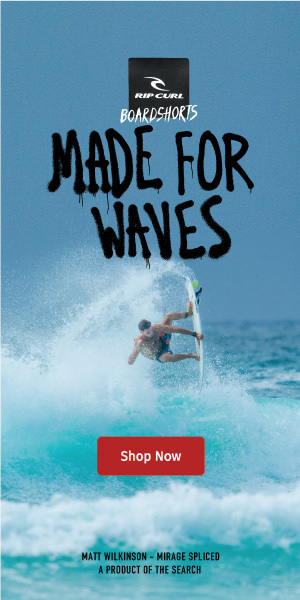 It is true that the World Surf League, despite being the entity that governs professional surfing, is still a company that, like all others, is privately owned, it is understood, aims the profit and financial sanity. But it is precisely because of the profit that it would have to have a wider vision in a way of satisfying its followers and surf fans. Removing surf from an open network (the internet) to put it on a closed platform (the social network Facebook) looks like a measure from a company that is "thinking small". "Removing surf from an open network (the internet) to put it on a closed platform (the social network Facebook) looks like a measure from a company that is "thinking small"." Perhaps the agreement, the partnership, with Facebook was frankly profitable for WSL's accounts, ( Looks like the agreement involves 30 million US for two years of exclusive FB transmissions) but it's still a disappointment, a measure that went unheeded for many reasons. The first is precisely the fact that people are forced to register on the social network in order to be able to access the broadcasts and follow the action. Well, if people nowadays do not have a Facebook account it is because they do not want to have it. Simple. In this field the WSL is proving to be very undemocratic. Then, forgetting at times the experience of interactivity, exchange of comments and emojis for everything that is site (say too sad and childish), is also the fact that Facebook, as a social network, is not well is in free fall, but begins to lose influence and may have already reached its peak. And this on a global scale due to the loss of users, less "engagement", too much ads, controversy with data protection, false news, etc. (No, we do not have numbers about this, but from what we read it's more or less what is happening). Anyway, this is enough and fully justifies not embarking on a partnership that is raising so much dust and a chorus of displeasure. So what will be the next step?